THE HARDEST ACHE | jeni a. We anticipated the arrival of yesterday, October 28, this whole month. Ryan's LSAT score was delivered and it was great. And yesterday we visited my OB. We went to see our second baby. The ultrasound image popped up on the screen. Black, white, fuzzy, and mostly unclear. One thing was clear – our baby! Nestled inside me, sitting like a lima bean, one end was just bigger and rounder than the other. The head. One more thing was very clear. The ultrasound machine was silent. Eerily quiet without a glub-thud, glub-thud, I stared at our baby…our baby that was painfully alive no more. I ached. We wanted this baby so badly. Our planning had been perfect with our changing future. We were thrilled for Olivia to have her friend! And I was soaking up being pregnant again. For me as a woman, I am my strongest, truest, most feminine self when giving life to my babies. Our appointment over, we left with one picture. Soon we were home, Olivia was napping, and I was out running. I made it one mile without feeling too sorry or sad. Then I started up a steep, stretching hill, and I absolutely broke into tears. I started again. “Sweet baby? I love you...” But my heart burned. And my breath shortened. I couldn’t keep running and say what I wanted to my baby, so I stopped speaking. I passed my friend. We chatted as if it were Friday at the playground. “What are you doing later today?” “I’m not sure…you?” We smiled and waved goodbye. Nothing was wrong with me. Olivia was awake when I walked through our door. She waddled-ran into my arms, she hugged me, and I squeezed her. Ryan kissed my forehead. I kissed him back. We took Ryan to campus, and the day’s events wore on as always. But the days’ emotions wore on not as always. Like water from a faucet that’s not quite off, silent tears dropped and dropped from my eyes. One-liner prayer after prayer left my thoughts. “Please help me,” “I’m grateful, but…” “Please, please help me.”And I was helped. Mixed with my sadness was a pure feeling of very hopeful peace. My sister, Annie, wrote me an email last night. Nine of her simple words were so soothing. “Time will heal the hurt and God knows best.” I believe her. I know that’s true. Time –and grace – has healed hurt in me before. And they will again! Things could be so much worse, right? All will be well. oh sweet jeni, i'm sending prayers your way. my heart is aching for you. love you dear friend! Oh Jeni, how heartbreaking. I'm so sorry. I admire your faith, we'll keep you in our prayers. Jeni...i love you! I'm so sorry. I love you for everything you've taught me and continue to teach me each day. Hang in there. Were praying for you! You're the most couragous soul. Mourning with you... LOVE YOU! oh my dear sweet friend. i am so sorry for your loss, but i SO admire your faith, courage, and upbeat attitude. you are such a wonderful example of remaining optimistic in trials. i sure do love you. so very much! and my prayers are with you and your cute family. lots of hugs. I'm so sorry to hear this! This type of loss is difficult and the pain can cause Satan to creep into your mind and break your soul. You truly are a light to this world and I hope you know you are not alone. God's timing is unusual, yet perfect and while finding our place in that timing is difficult, we may find peace in his love. Love you! If you ever want to chat, call me. I'm so sorry to hear this Jeni. I hope that peace continues to stay with you and your recovery goes well. Much love to you and your family. Jeni, your title says it all. I hope that you can continue to feel peace and get good hugs from Ryan and Olivia during the hard moments. My heart aches withyou and you will be in my prayers! Jeni, I am so sorry to hear this. If ever you need someone to talk to, know that I am always there to lend an ear. I look forward to our visit on Sunday. I'm so sorry Jeni and Ryan that you have to go through this. I just loss my first pregnancy a week ago after 18 months of trying. It was too early for an u/s but I am still reeling physically and emotionally. Thank you for your brave words. Sweet Jeni, I am so sad and sorry. I also had a miscarriage in between Geoff and Carlie. It's a hard thing but time is a healer. We will keep you in our prayers. Much love!! All my love with you Jeni. What a great blessing to start building your eternal spirit family while you are still on earth. 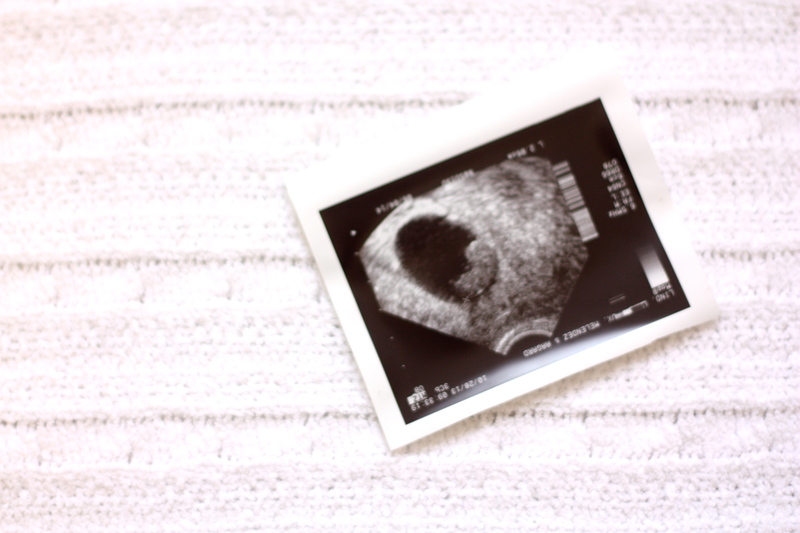 It will be such a short time until you get to meet your little one! Ill be praying that the peace stays with you. So sorry Jeni. I too pray as I run...I call my trail "the trail of tears" as it has seen me through so much this past decade. You are growing in wisdom and sorrow. It is all part of the plan. Love you. So...can this comment from me count as one massive "reply" to ALL of you? :) I love each of you so very much. The time you took to say just a few words warmed me so. To those of you have lost babies, too, I'm so so very sorry. One thing is certain - you can get through anything with friends. XOXO.